Never mind that the July 4 celebrations are over—with the opening of Silver Lake Wine’s new outpost in the Arts District—the celebrations must, and will continue. And your celebratory theme is going to be rosé—of the sparkling kind. Katie Vonderheide (pictured), manager and wine director for Silver Lake Wine Arts District and ER Bar, has the low-down on some pink and fizzy juice for you to try. As Katie and I set about devising this month’s Hot off the Shelf picks, I learned of her enthusiasm for pet-nats (petillant naturel wines). “With pet-nats and with everything else in wine that’s using a technique or technology that someone hasn’t seen before there’s always some initial skepticism involved,” said Katie. “There are still some customers who refuse to buy wine that has a screw top!” Of course, I refuse to believe this could be true of anyone reading Liquid LA. Right? Tell me you’re not screw top haters, please! 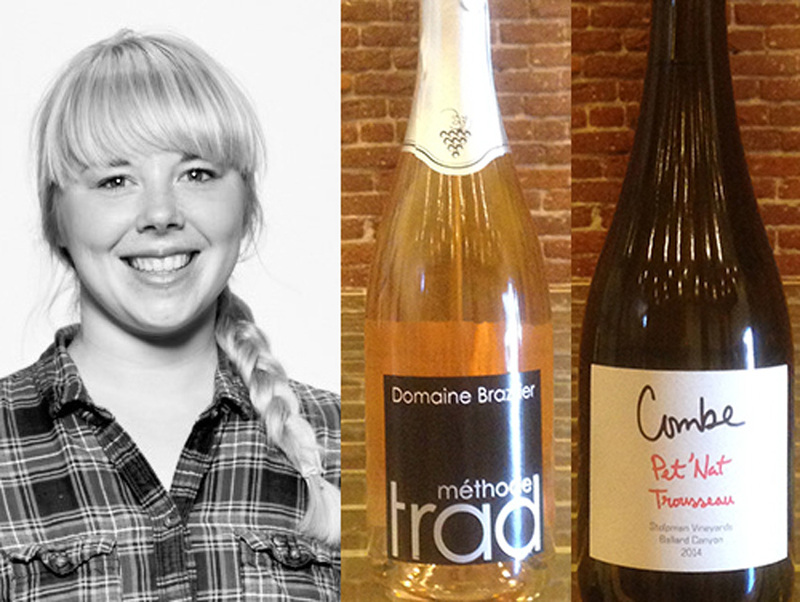 So get on down to Silver Lake Wine Arts District and ask for Katie’s sparkling rosé picks that you heard about here on Hot off the Shelf. Katie Vonderheide has worked at Silverlake Wine for about three and a half years—mostly mornings and afternoons so maybe you haven’t met her yet. In the evenings she has always worked at restaurants. Most recently she was the somm at Mozza’s chi Spacca before leaving to work full-time at Silverlake Wine as manager and wine director for ER B, in the Arts District of downtown Los Angeles.